Show them your poker face! On TV, in the club or at home with the whole family, poker is all the rage. 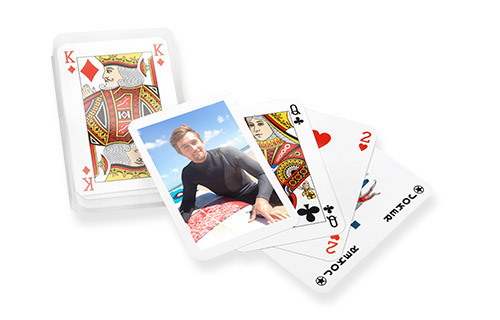 With this pack of 52 international playing cards and 3 jokers, poker is guaranteed to be even more fun. All the cards have your favourite photo on the back! Tip: Order two sets at once. 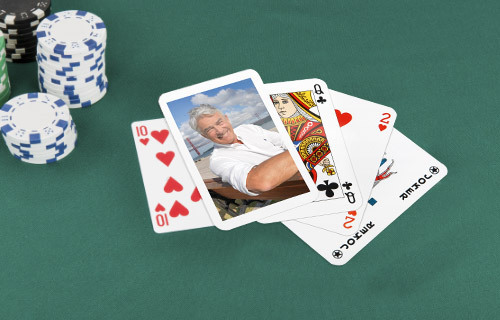 Then you can also play rummy or canasta! Also perfect for clubs and societies.